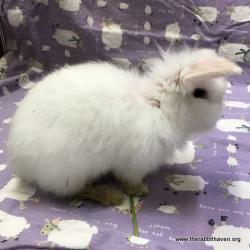 I was dumped at the shelter with a few other bunnies. Then, sadly, I got put on the list. Hello everyone. My name is Dani, and I am an adorable fuzzy lop. I am in a bit of trouble here at a local shelter. I was dumped at the shelter with a few other bunnies. Then, sadly, I got put on the list. That is not good as it means that I need to be rescued really soon. I have only 2 days left at the shelter. Will you help me? Can you foster me please? I have teeth that need some care and I need to see a vet. The Rabbit Haven will pay for all that and set up all of my appointments. All I need is a place to stay in a loving foster home. Do you have space for me? If you can help me please call Auntie Heather right away, OK? Oh, The Rabbit Haven provides all the set up supplies for me and pays for all medical too. Please help me. 831 239-7119 11AM to 11PM – the Rabbit Haven team can get me out- and even transport. San Jose or Santa Cruz or anywhere within a 75 mile radius. Ok, will you call now? 831 239-7119. Or you can email director@therabbithaven.org or ava_haven@comcast.net. Urgent rescue needed by Sep 18th! Thomas Taylor needs rescue Now! Lyndria is now in foster care!